Who does not love the chance to go and pick their own sweeties for a dolly bag? You take your empty paper bag and you are allowed to wander around the sweetie displays and using the scoops provided collect whatever combination of sweets you like best! There have been a lot of questions and answer posts floating around in recent weeks. I have loved seeing the questions provided by our Queen of Questions, Teresa, aka The Haunted Wordsmith. I have loved reading the answers from other bloggers too. You may be aware that I have had a lot on my mind with the loss of my gorgeous Goldfinch – my loss, Australia’s gain. I had started posts in response to Teresa’s questions and not had time to finish them. So I thought I would go through my drafts folder and try to compile a pick and mix of the questions I was clearly most enthusiastic about (which seem to be mostly about food!) and compile my pick and mix post of Teresa’s recent questions. I have narrowed it down to twenty questions – so ten today and ten tomorrow is my plan, as twenty make an extremely long post! Oh yes. 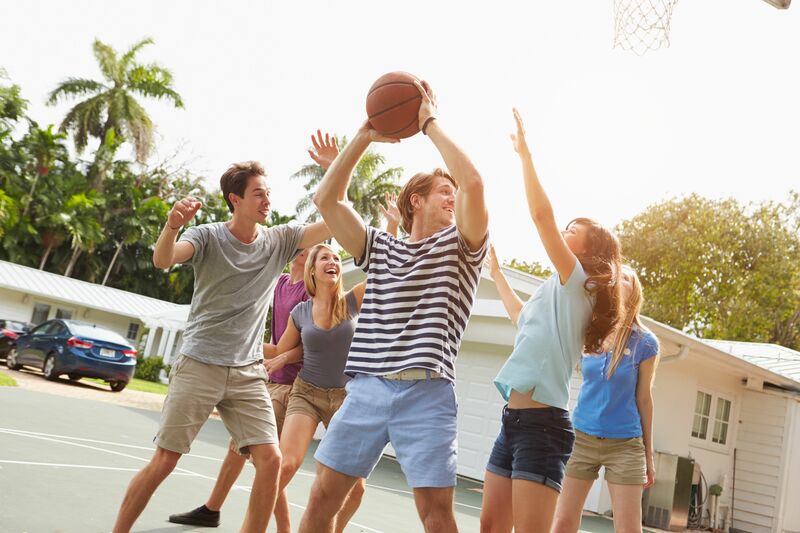 I love playing sports – much much more than watching sport. In fact to be honest, I don’t think I like watching sport at all now. I just want to jump up and join in. My sisters and I were competition swimmers. That was our thing. But because we were fit and had a great lung capacity, we seemed to be pretty good at most sports. I was on the school team for everything. I don’t have great hand eye coordination though. I have a lot of energy and stamina. I have no fear, but very little skill. So my best position in any sport is in defence. I will take on any opponent. But once I have won the ball, I am pretty useless. I have to pass it to a team mate because I can’t run with the ball, I just trip over. I am not always very precise in my aim or the force with which I pass the ball. I have played football (soccer that is), hockey, basketball, rounders (which I think is a bit like baseball), netball and other sports. But I am usually in some kind of defense position. Whatever I play I enjoy. I don’t tire out, I love running around, I will tackle anyone on the other team, but once I have won possession of the ball, I have to give it to someone else because I am so useless with it. I love variety again! I like soup! I love butternut squash soup. But if I have avoided dairy for a long time, stilton and broccoli is yummy. I love a spiced lentil soup. I love parsnip soup. 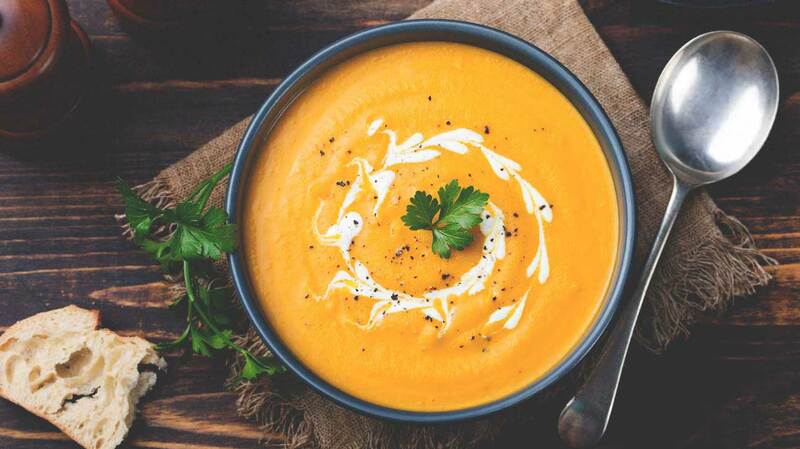 A creamy vegetable soup. I like sweetcorn chowder. I love a garlicky mushroom soup or a vegetarian onion soup. I like roasted beetroot and garlic soup. But to be honest, most days here in London, I feel as if I am running around from here to there trying to squeeze in everything I have agreed to do in a day! 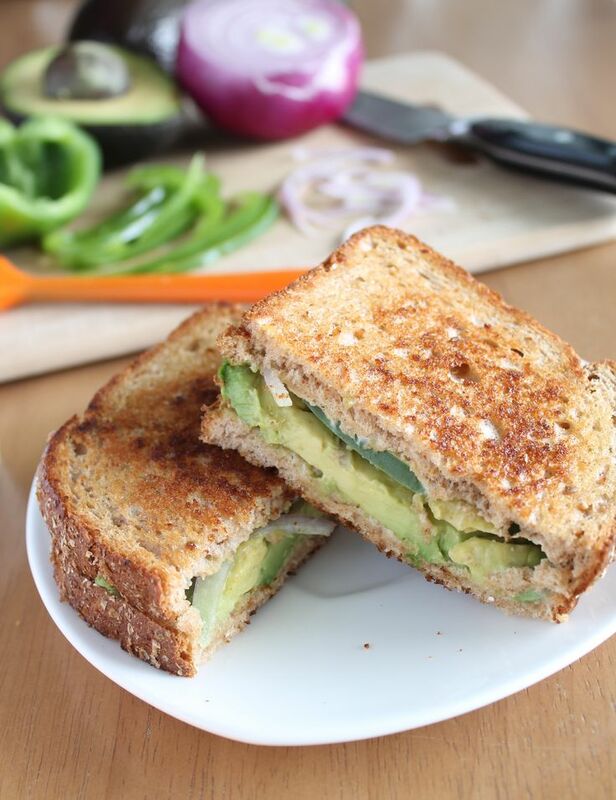 What is the oldest thing in your refrigerator right now? 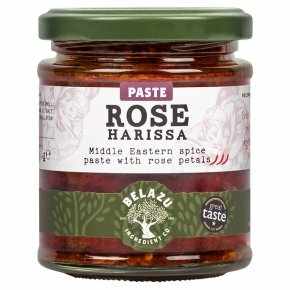 I think a jar of rose harrissa paste. I forget to use it. It has probably been there for about three months. Most of my fridge contents are salad and soya milk or cashew milk, with the occasional bottle of white or rose. Things don’t stay in my fridge for long. If you had to stay up all night, what is one thing that would keep you awake? Even if I am exhausted, when there are people around me I can’t fall asleep. 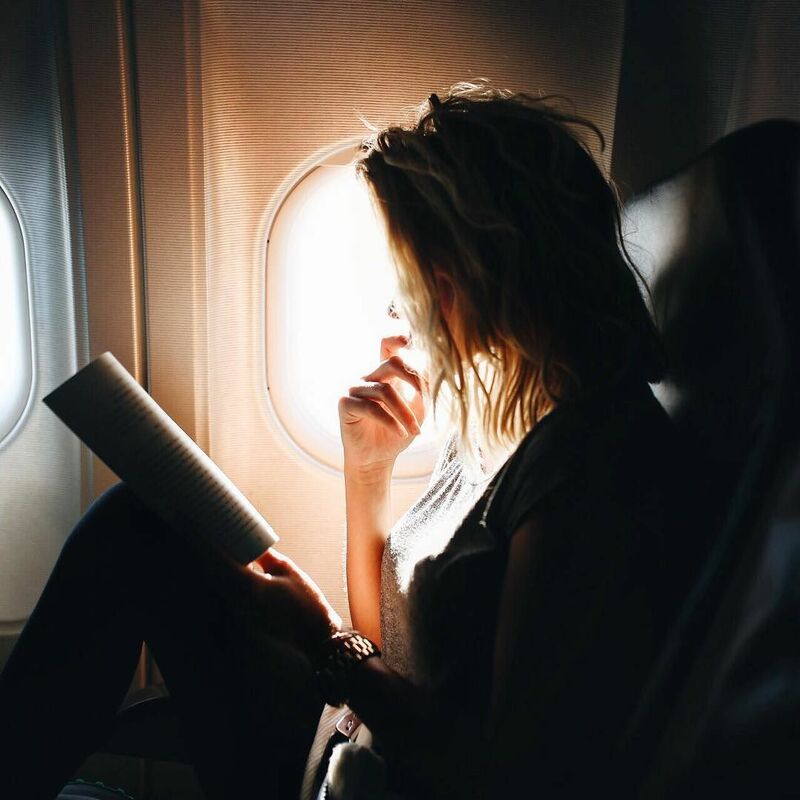 If I am on a night flight where all the other passengers around me are sleeping, I will be wide awake clutching tightly to my purse. I just don’t feel safe or relaxed to fall asleep with people around me, especially if they are strangers. I feel as if I am very vulnerable! I have had to do a lot of night shifts whilst working in health-care and I have worked very late nights trying to meet deadlines on various voluntary projects. If I am on my own, I have to keep drinking coffee and getting up and going for a walk. But if I am with other people, it is not difficult to stay awake. We chatter and laugh while we are working. I have a story about a nighttime project and a hilarious situation we faced with an alarm – we were all in tears laughing. Whenever I tell the story, nobody seems to understand how funny it was. But at the time, we were all shaking with laughter. If your kitchen could talk, would it have a horror story? But in essence, it involved an explosion of red wine, all over the ceiling, cupboards, worktops, floor and all over the pale coloured sofa. I thought my landlord would lynch me! What is your favourite museum to visit? 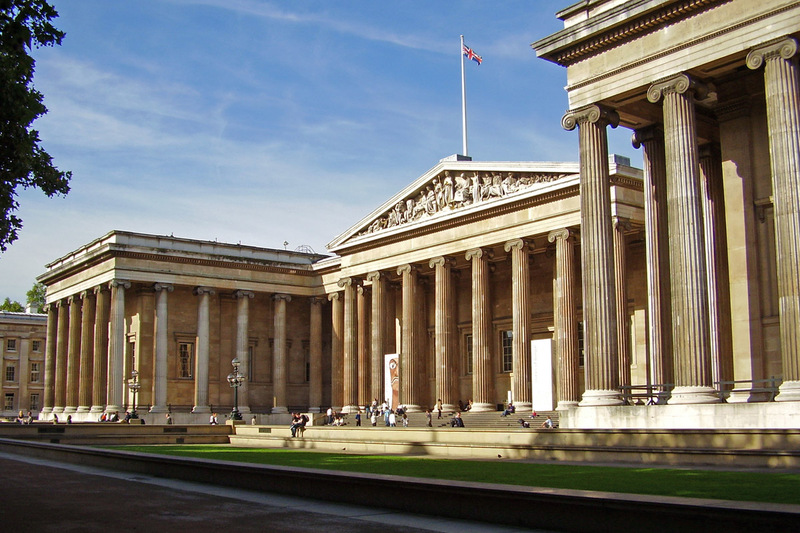 I am spoilt for choice here in London…but honestly the one museum that draws me back again and again as it truly fascinates me is the The British Museum. Oooooh – so hard to choose. But there is one flower, that I think makes my heart leap in a special way. The bluebell! I love it because most people know better than to try to pick them to take them home and put them in a vase. 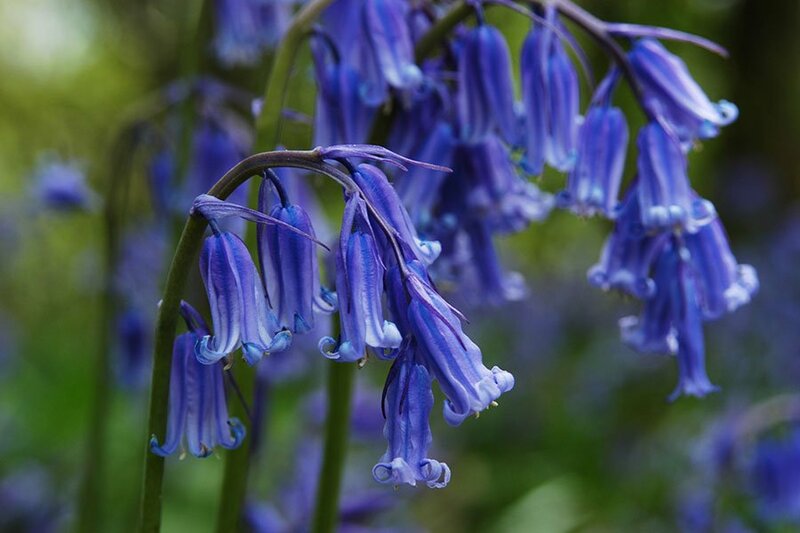 If you want to see my favourite flower, you put your wellington boots on and traipse into the shady woods to see them carpeting the woodland floor. That’s where they belong, not in a vase. Around the end of April they might start to appear and hopefully last well into May. Carpets of blue on the forest floor. It is one of the most beautiful events of the year for me. It is absolutely enchanting. 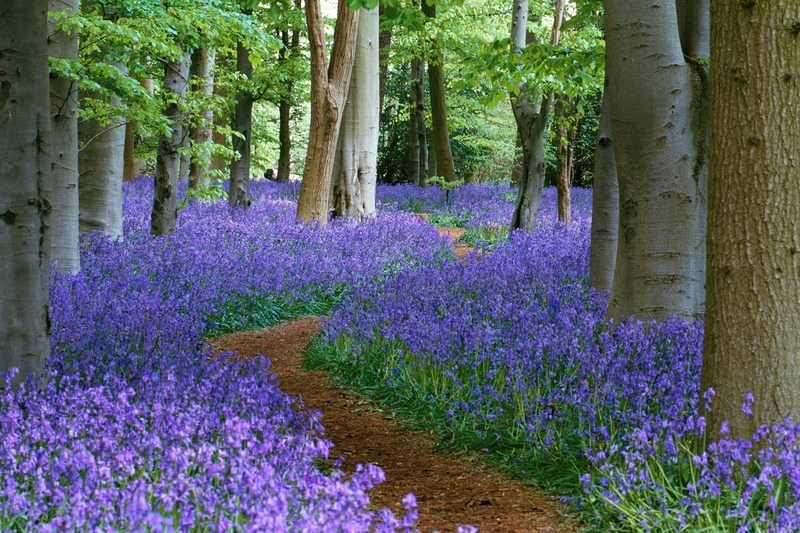 I don’t know how many countries have bluebells that erupt in the forest each spring. But it is an incredible vision to behold that I would hope everyone on earth would have chance to see. I love variety – you are going to be bored of me saying that! I don’t think you could ever put a sweet dessert in front of me that I would not devour with relish! My preferences only change according to the season. In winter I like a hot indulgent dessert, in summer I like light fruity desserts. The only thing I am a bit snobbish about is either shop-bought pre-packaged desserts, or if I go to a restaurant, and I genuinely feel I could have made a better job of making the dessert than the professional kitchen staff have. When I first started baking all by myself, I remember looking through recipe books and picking out cakes and pastries I wanted to learn how to make. My very first choice was profiteroles. I reckon I was around twelve years old. 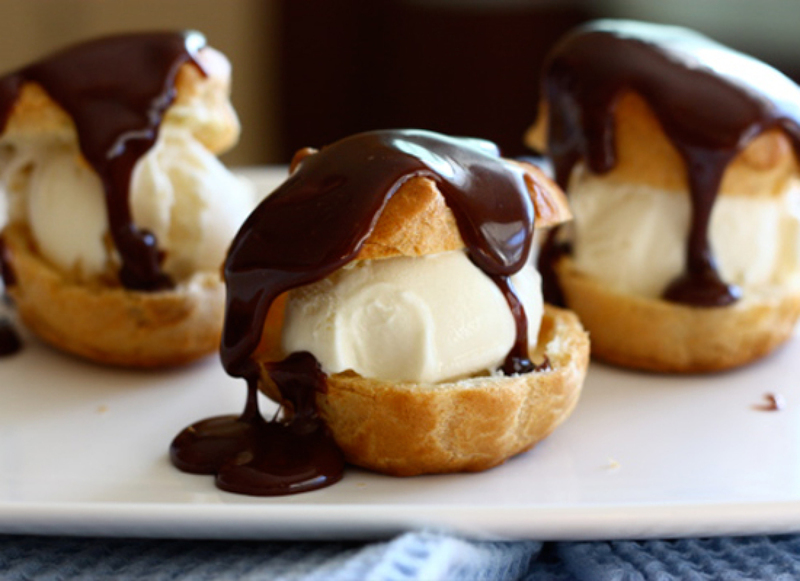 I followed the recipe and instructions faithfully and out came perfect profiteroles. So I am a snob. I can’t buy them from a supermarket because I know mine are so much better. 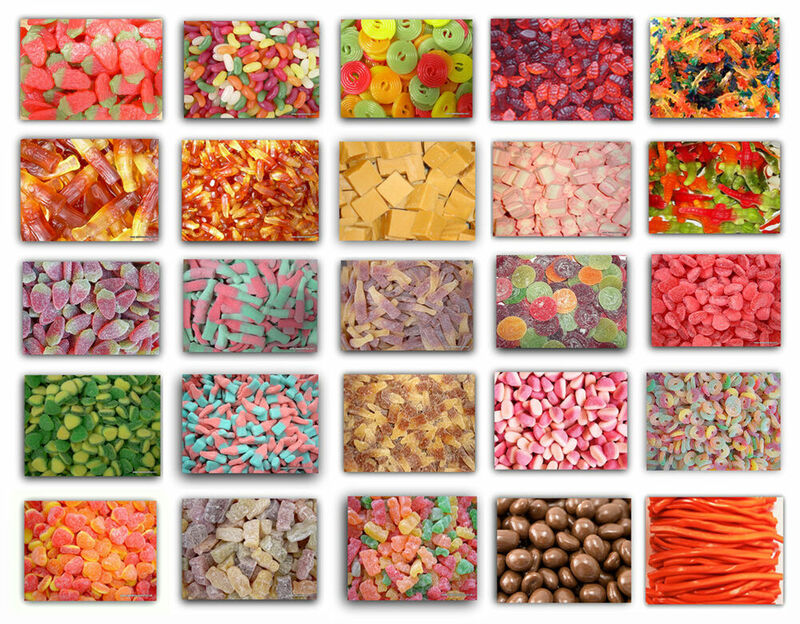 Pick’n’Mix brings back childhood memories – thank you. It was so exciting to be allowed to choose your own Pick’n’Mix wasn’t it! A lighter post after all the tears this week! Good idea! Love your pick and mix. Thanks Sadje…there is another one scheduled to sweeten Sunday! Thank you…I enjoyed Teresa’s questions, just haven’t been able to keep up the pace recently. ooo….Wonderful Q&A! I never really considered mango chutney before – sounds interesting. I love butternut squash soup. I had some delicious lentil soup yesterday while watching a movie with my boyfriend. British museum sounds like a fascinating trip. I was laughing when you shared the Benny Hill running theme song.I love creme puffs…My sweet tooth is wanting dessert now. this time of year lentil soup is probably my favourite!